Offering you a complete choice of products which include ampoule and vial crusher machine. 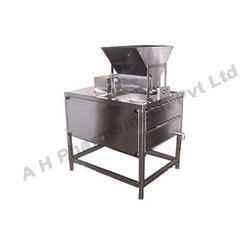 We offer the best quality of Ampoule and Vial Crusher Machine. It is used in various pharmaceutical industrial applications. By using modern machinery, we manufacture these products as per industry laid norms. Owing to their automated operation and longer functional life, these products are highly demanded.